cards on a pilot basis. This move getting the Aadhaar card directly from UIDIAI – will help people looking for Aadhaar reprint centers. If you have a TOTP from your mAadhaar app, you can check the 'I have TOTP' checkbox. Your Aadhaar card will be printed and sent to the address in the card. 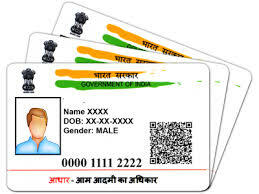 The officials of the Unique Identification Authority of India (UIDAI) have cautioned people not to share their Aadhaar number or personal details to unauthorised agencies for getting it laminated or printed on a plastic card. UIDAI had said that possessing a paper Aadhaar card was enough. “There is no concept such as smart Aadhaar card,” the Director General and mission director of UIDAI, Ajay Bhushan Pandey, had said. Though UIDAI had said the downloaded version of Aadhaar or eAadhaar was a valid document, there was a high demand for the 'original' card sent by UIDAI. There were also complaints that some utilities were reluctant to accept printouts of eAadhaar. UIDAI had also said that just because the Aadhaar cards in the form of plastic or laminated cards, they could not be called 'original' Aadhaar. Though there were UIDAI-authorised centres for printing Aadhaar cards, there were reports of several illegal 'printing' centres charging exhorbitant rates for printing the card. There were also the associated security risks of people giving out OTPs and personal details like phone numbers and addresses for downloading and printing Aadhaar cards at the centres. Will they send the plastic version or the paper version for this Rs.50/- payment. Aadhar correction should be made online, and registration of new mobile number also, so, that time and energy is saved.